Dali Old Town and the surrounding valley combine to create one of the province's most welcoming settings and, as such, both are no strangers to hosting all manner of cultural festivals. With names like Strawberry, World Music and Rainbow Gathering, the list of past interactive carnival-atmosphere jamborees is long indeed. For the second year in a row Dali Flow Fest adds its name to the list. GoKunming and Flow Fest organizers are happy to announce a giveaway of event tickets to this unique celebration of busking culture, DJ music, performance and theatrical art, wellness activities and much, much more. Dali Flow Fest International will be held April 22-29 at a new venue called Yunshang Huahai (云上花海), a fairground area southeast of the old town. We will give away a pair of seven-day, all-access passes and four pairs of tickets to Gala Night — Flow Fest's blow-out, final-day event. You can enter to win by properly answering the trivia question about Dali below. Dali Flow Fest International bills itself as "seven days of workshops, performances, and live music, with DJs and fire circles every night." International artists and buskers from around the world will attend this one-of-a-kind spectacle. Local and international food options will abound, craft beer from Dali will flow and camping out under the stars will be encouraged! For full details, including daily event schedules, check out Dali Flow Fest's WeChat post. You can also learn more on the Fire Nomads website. Every day from 9am until 5pm the festival will feature workshops and other interactive events. These will include activities like yoga classes, taiqi instruction, spinning, contact juggling and more. Nighttime parties will be organized around themes and run until midnight. However, the final evening of Flow Fest goes until no one is left standing. Workshops: Dali Flow Fest will host several internationally famous buskers and performance artists in 2019. The line-up of 17 featured jugglers, poi masters, acrobats and dancers hail from seven countries. Each artist or troupe will host skill-specific workshops throughout the week. Impromptu theater: Improv theater events will be held as they can, with participants encouraged to dive into unplanned and unscripted bouts of storytelling with their fellow players. Live music and DJs: As with last year, Dali Flow Fest will feature bands and DJs during the evening hours each day of the event. Dedicated children's area: Kid-friendly activities will abound, as this year's event is free to kids under 12, as long as they are accompanied by an adult. Canteen and bar: The bar will be provided by Mountain Bandit, with locally brewed beer, cocktails and pastis. Drinks to be served in environmentally friendly reusable commemorative cups. For ticket holders, the canteen will provide complimentary breakfasts, with lunch and dinner options available a la carte. Creative market: The Creative Market will include stalls with hand-made jewelry, clothing, juggling gear and other special trinkets. Gala Night: Gala Night features the finest performers closing out Dali Flow Fest with amazing aural and visual acts mixing dance, music, LED installation art, fire performances and much more. We will accept entries beginning with the publication of this article and running until 11:59pm, Beijing time, on Sunday, April 14. Entries not including contact information will not be accepted. All correct answers will be entered into a random drawing held the following morning. Winners will be announced in the comments section below and notified personally by either email or phone. Good luck! Full, seven-day passes to the 2019 Dali Flow Fest cost 420 yuan presale and 480 yuan at the gate. Both include breakfast. Single entry passes are also available for 160 yuan, and also include breakfast. 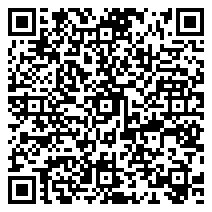 For online purchases, scan the QR code to the left, above. Camping is encouraged and a limited amount of camping gear will be for rent at the event. Make sure if you need tents, tarpaulins, mats or sleeping bags to get in touch with Flow Fest organizers early, which you can do by scanning the QR code at the right, above. We are truly honored to welcome so many talented artists to Dali for the second annual Flow Fest. Please keep in mind this event is a non-commercial one. All money raised from entrance tickets, as well as bar and food sales will serve to cover artist's transportation, accommodation and other costs. Flow Fest is the first of its kind in China and we really hope the community will give their full support by purchasing full-pass tickets. If you wish to volunteer, perform, give a workshop or sell handcrafted items at the festival, please email us at [email protected], or get in touch on WeChat be searching for @firenomads. Thanks for your support everyone! We have our winners! Congratulations to Oli, Kasey, Mai, Santiago and Kamelia!